Eager to explore the wild side of North Carolina? Get up close and personal with the fascinating creatures that share our state at aquariums, zoos, wildlife refuges and more. 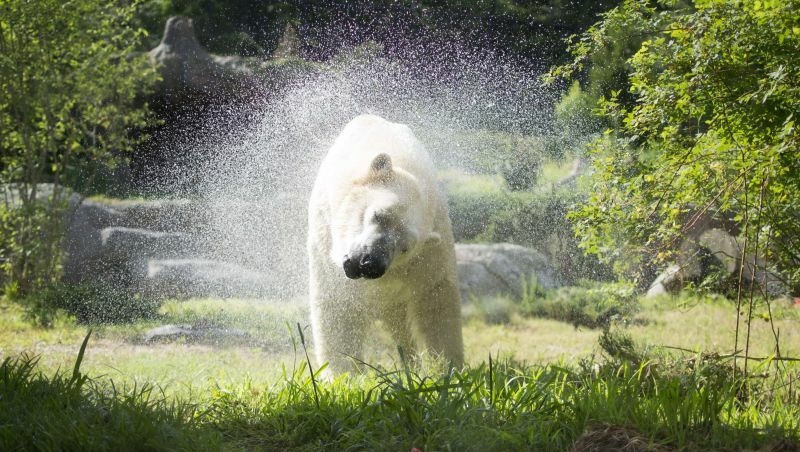 In North Carolina, wild animals love to come out and play, often even posing for photo ops in their natural habitats. Here are nine places you can perch, roam, learn about and observe the fascinating creatures that share our state with us. Walk along this center’s 0.75-mile nature trail in Historic Latta Plantation Park near Charlotte to see and learn about more than 20 species of eagles, hawks, owls and other raptors or birds of prey. The Carolina Raptor Center takes in about 700 injured or orphaned birds annually, and offers interactive programs for kids of all ages. This 154,000-acre refuge was established to preserve a wetland habitat called the pocosin, a Native American word meaning ‟swamp-on-the-hill.” You can walk trails into a freshwater swamp or a cypress swamp, or take a tram or guided canoe tour to look for animals ranging from swans and river otters to black bears. There’s also a nighttime Red Wolf Howling Safari where you’ll learn to ‟talk” to the refuge’s largely unseen red wolf population by howling and hope they howl back. Here you can take a reservations-only guided tour to meet tigers and other endangered carnivores that have found sanctuary at Carolina Tiger Rescue facility 30 miles west of Raleigh. Tours, including a seasonal twilight tour, bring you close to the animals at their most active times. Lions, tigers and bobcats are just three of the 20 species totaling nearly 90 exotic animals you’ll see up close. 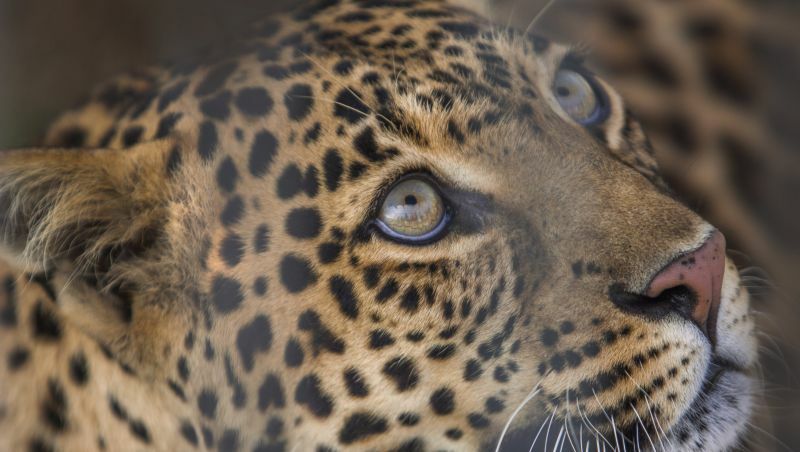 The Conservators Center focuses on education, conservation and rescue. And it also offers a variety of tours year-round, including some specifically for kids and families, as well as the Adult Twilight Tour (when you can see the nocturnal animals at play) during evenings from April through September. 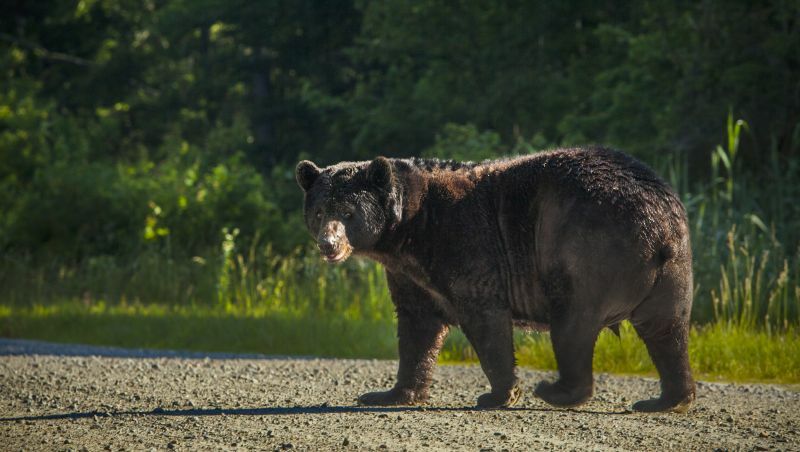 Best known for its hiking trails and Mile High Swinging Bridge, this iconic North Carolina attraction also gives you an up-close view of local animals, ranging from black bears and cougars to bald eagles and white-tailed deer. If you’re feeling really adventurous, try the Backcountry Hiking Trails, home to 16 distinct ecosystems and 73 rare or endangered animal species. More than 750 animals from six continents call the Lazy 5 Ranch home. You can board a horse-drawn wagon to view rhinos, giraffes, zebras and many other striped and spotted residents. Or drive your own vehicle on the 3.5-mile safari route, and expect shrieks of laughter from your kids as they hand-feed ostriches, llamas and other animals that come right up to your windows. No matter where you vacation on the North Carolina coast, an aquarium is never far away. 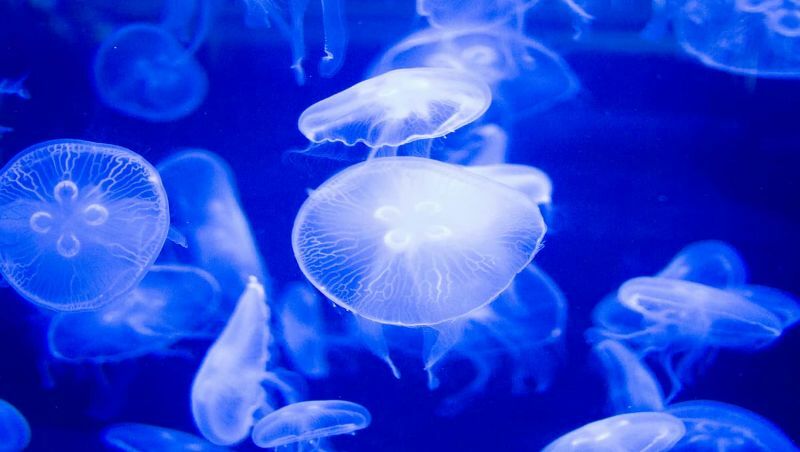 At the Roanoke Island aquarium on the Outer Banks, you can see the largest collection of sharks in the state, and touch a variety of aquatic and semi-aquatic creatures in the Close Encounters tank. Exhibits at the Pine Knoll Shores aquarium near Atlantic Beach lead you from the mountains to the sea as you follow a stream’s journey to the ocean, watching river otters, fish and reptiles along the way. At the Fort Fisher location near the ferry landing, you can climb into the replica jaws of the Megalodon, a prehistoric shark the size of a bus that lived right off our coast. You can also visit Jennette’s Pier in Nags Head, for a variety of educational programs from fishing lessons to kids’ science camps. More than 1,600 animals representing some 225 species will amuse and amaze you at a zoo divided into “Africa” and “North America.” In Africa, you can get eye-to-eye with a giraffe, castaway to Lemur Island and head for an "immersion walkway" above the Watani Grasslands Reserve. From this vantage point you can spot elephants, white rhinos, ostriches and other animals in a 40-acre habitat that serves as a stand-in for the grasslands of Africa. From there, you can walk or take a tram to North America, where habitats range from a cypress swamp to the Sonora Desert. 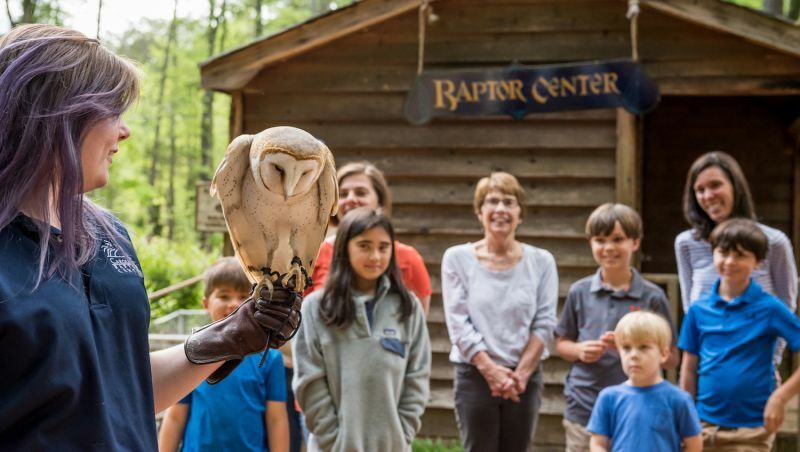 This 70-year-old facility showcases animals that are native to the Southern Appalachians. Red and gray wolves, cougars, bobcats and coyotes prowl in the predator habitat, and river otters swim and play in their own special area at the Western North Carolina Nature Center. There’s an Educational Farm outside, interactive exhibits in the Nature Lab and night animals in the Nocturnal Hall.